Is the stress of planning your event keeping you up at night? Think you can't afford a planner? We leverage our huge network to negotiate discounts and bring in top quality vendors to offset our fees. 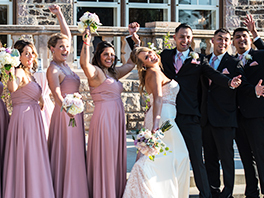 Whether you are celebrating the union of a marriage, or remembering your special day, we've got you covered from A-Z, and from giggles to kisses. We provide you with years of logistical planning and design implementation experience. From site selection to inspiration boards, all details will be handled: vendor meetings, stationery, entertainment, decor, lighting, destination management, food and beverage, budget tracking. Every wedding is unique and deserves a custom quote! Our Packages Start at $1,000. Hurry, book your date now! The initial call is always FREE! Are you eloping? Want a Destination Wedding? Honeymoon location? We have support for you, too. . . . . consider Sandals, Beaches, Grand Pineapple. . . explore more and book here.